Your Business’ website is an important part of the image you portray to consumers. The look of your website is as important as the look of your store or office. A good design can show credibility, professionalism, and organization. A poor or outdated design can have the opposite effect. Auto Repair websites are a specialty of ours. Tom, of Tommy's Automotive in West Chester	has been with us from the start and his website has grown with his business. 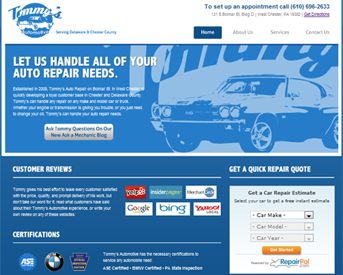 We have a lot of experience building and marketing auto repair websites. See our list below for more. 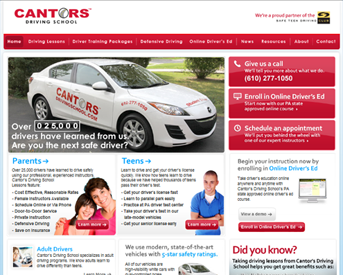 Cantor's Driving School offer driving lessons all over the Main Line and beyond. He also has online drivers ed on his website. We designed and coded Cantor's new website this past April. Take a look around and maybe take him up on some driving lessons for the person in your life you KNOW needs them. 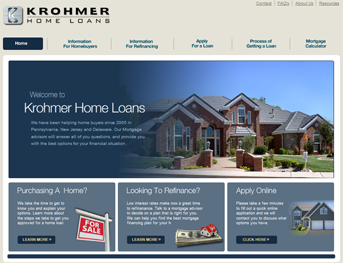 Krohmer Home Loans in Edgemont Square acts as a direct lender or a mortgage broker. If you are thinking of buying a home its important to get preapproved for a loan so you know what price range you can afford. You can learn more about getting a mortgage and start the process on their website. 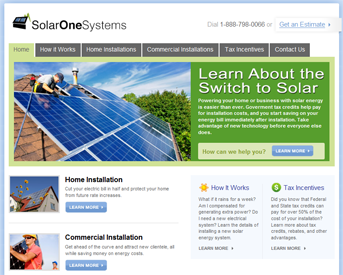 With everyone going green, Solar One Systems in Wilmington Delaware needed a new website to promote their solar panel installation services. Take a look at their website for more information about Solar Panel installations in Pennsylvania, New Jersey and Delaware. Simply Catered offers all types of catering services for presentations, business lunches, graduations, birthday parties and more. 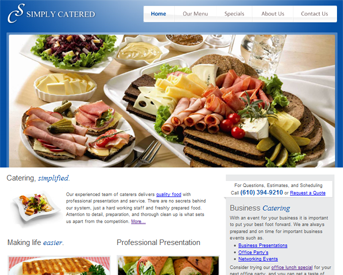 They specialize in catering events for medical professionals at hospitals. There site is clean, simple, and attracts new customers on a regular basis. Try them for your next catered event. We help all types of businesses find new customers on the internet. We have designed and developed websites all over the delaware valley and beyond. Visit some of our favorite websites.